I am now over 3 years into my weight loss. I truly cannot tell you when I became fit. I can say it was somewhere within year 1-2, although as more time goes by, I continue to get more fit. It is a goal I continue to work hard with, consistently evaluating my habits and making small changes as I learn more about my capabilities. I was probably 6-9 months into my weight loss before I began to realize what failure was and why it was important. And THAT is when things began to happen. Yesterday, I returned to my workouts after needing to take 2 weeks off due to a back injury flareup. Truth be known, I had gotten pretty lax in my back strengthening exercises in the past 6 months. I took for granted how well my back was feeling. Although I have been doing a lot of strengthening exercises, I wasn’t doing the very detailed exercise to work the tiny core muscles along the spine. Today, I am getting the spinal injection of cortisone for my back. Here’s hoping it last for 6 months or longer! Lemme tell ya…I reached failure! Legs were shakin’, triceps were shakin’, I couldn’t use my arms for about 20 min to even make a shake. 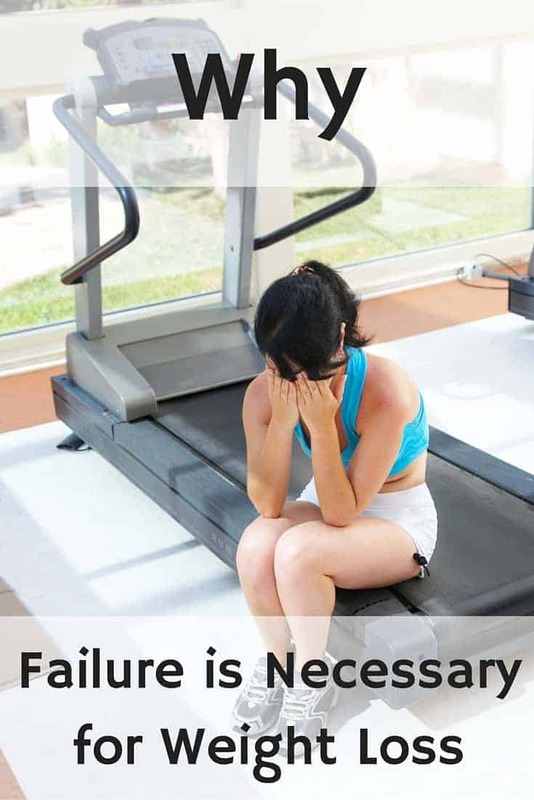 That kind of failure is a must in weight loss if you really want to make progress. Failure will happen at different times for everyone and will change every week that you are working out and getting stronger with longer endurance. Failure is the point your muscles cannot work any longer. Physically, they will shake as they are maxed out to the point of exhaustion. Physiologically, your muscles much reach failure in order to repair and rebuild. In short, failure is how those wonderful muscles get stronger. Stronger muscles = higher metabolism, leaner body, a better feeling you! 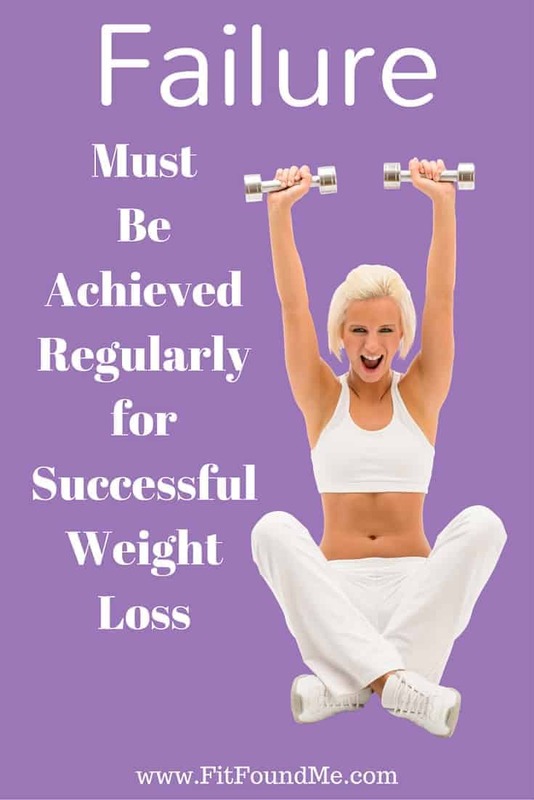 Looking back, I did not really understand how hard you have to push your body to get results when I first began to want to lose weight. (Aside from injury pain, if that’s the pain you are feeling, don’t push through that. See a doctor.) However, workout exhaustion is what you are aiming for. It’s the wow, I can’t do another push up or another 5 seconds of high knees kind of pain is the key to losing weight and getting in shape. That is what will burn all of those calories and fat away while building up your muscle. If you need some motivation to help you get through to failure, I understand. It takes some real deep down motivation to push yourself to max level and that’s where your WHY comes in! Fit Found Me’s 30 day workout calendar is all about pushing yourself to failure and getting better every week. Give it a try today!